What is your most unforgettable Escape? Montana. What was the purpose of your travel? To ride horses and learn about horsemanship. With how many people did you travel? By myself. Where did you stay? McGinnis Meadows Cattle & Guest Ranch. Could you share an unforgettable memory about the trip? Standing in the middle of a herd and taking their photos while they pass running by me. What did you most like about the trip? Horsemanship, meals, rooms. Your most surprising find during the trip? A local cowboy bar! Favorite restaurant(s) or food you have tried during your trip? Every meal at the ranch was incredible. What is the must tries of the city? Libby and Kalispell are very small towns but for local cowboy shopping there are Western Outdoors and Murdoch's. Any hidden gems you could whisper to us? Any trail ride on horseback is a new adventure to discover in the woods. Would you go back? Definetely. Could you list a few of your favorite finds you came back with? These can be anything from traditional finds to airport finds to hotel creams! "Pendleton" blankets, towels and pillow cases, leather handmade cowboy chaps with fringes, "Marble Canyon" plates with horse and cowboy designs, bleeding heart flowers, the book "Zen Mind Zen Horse" by Allen J. Hamilton. Any tips that might be useful to know before going there? 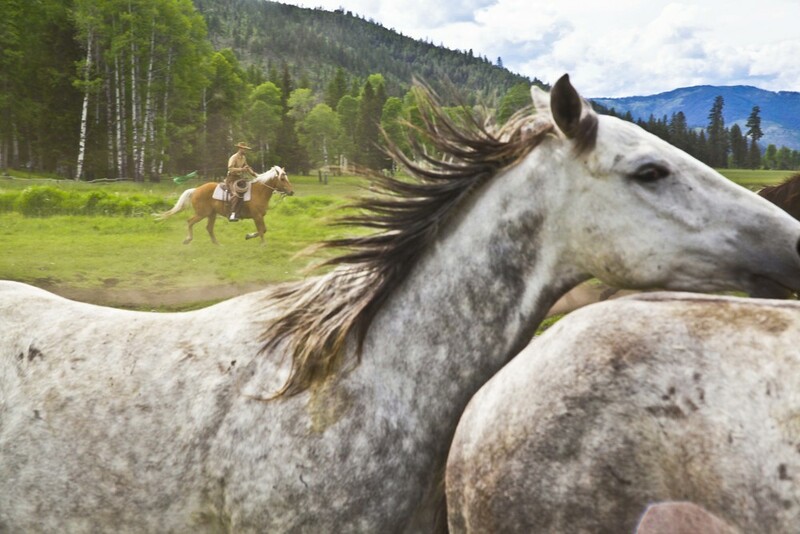 Watch the movie "Horse whisperer" and read about Buck Brannaman. Next stop you would like to visit? Tokyo, hopefully.